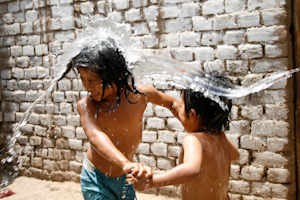 Many of our teenager’s images show children having a lot of fun playing with an old tire or a bucket of water, of people simply relaxing and enjoying a rest in the sun or taking time to chat with each other on the street. These images show our customers in the west that having more material gadgets is less important for being happy than your perception on life, your ingenuity, having meaningful social relationships and a positive mind set. 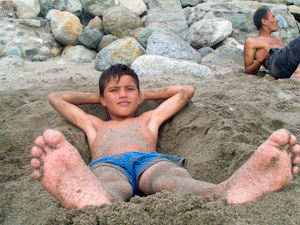 In marketing terms you could say that this “Simple Happiness” is a unique selling point of our teenagers’ photography. 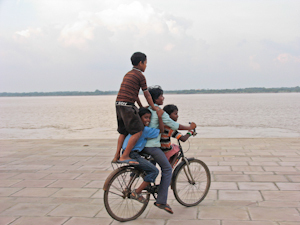 So as FairMail is a social enterprise, totally dependent on the sales of our cards, we have decided to spend more attention making use of this natural strength of our teenagers and their surroundings to shoot images of “Simple Happiness”. 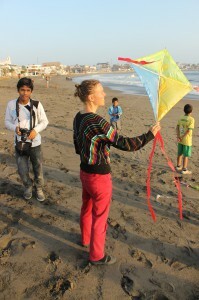 One such example was the kite workshop we organized in Peru a few months back. 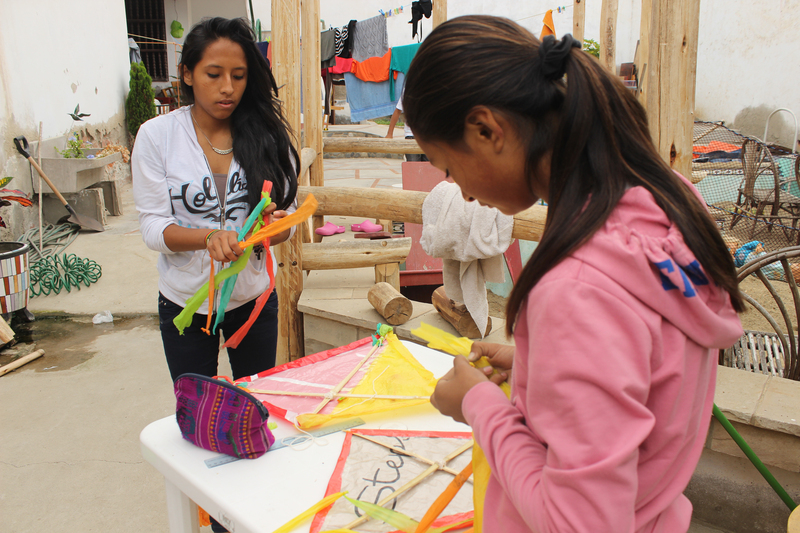 With leftover plastic garbage from the earlier “garbage art workshops” the teenagers made their own kites during class. By being creative with the available resources and experimenting with designs and colour combinations some great kites were made. 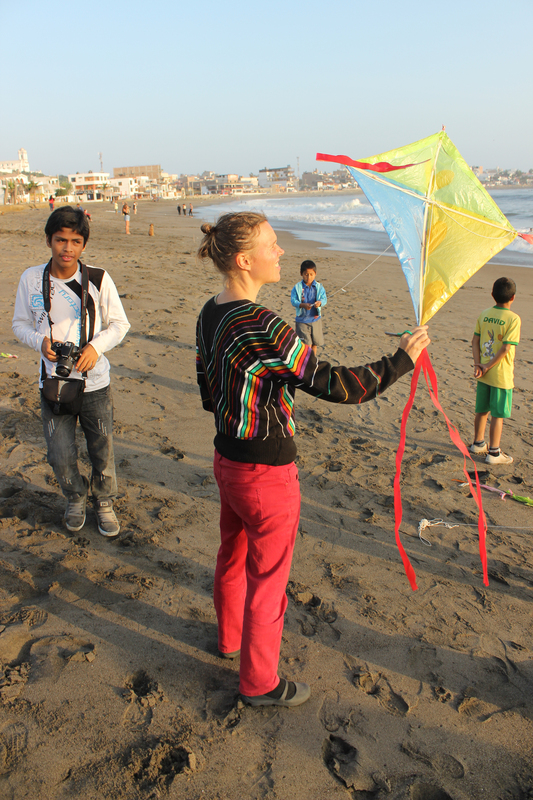 During the next class they brought along their little sisters, brothers and neighbourhood friends to a kite flying photo shoot on the beach of Huanchaco, close to the FairMail office. As the photos show it was a very fun day. 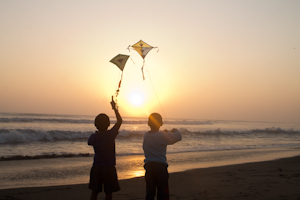 Everybody enjoyed playing with the kites, dancing on the rhythm of the afternoon breeze until the sun went down. 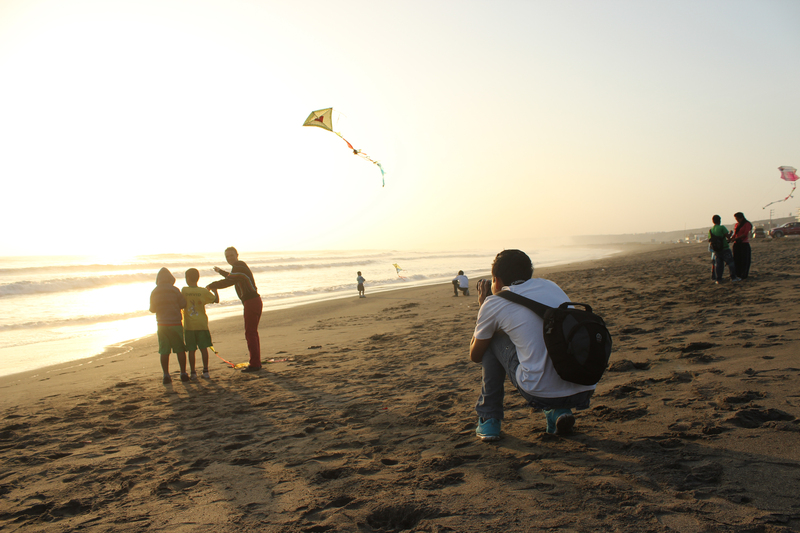 Sand, sun, beach, kites and friends were all the ingredients they needed. When it started getting cold we all headed back to the office for a nice cup of hot chocolate and looked back at a very productive (and low cost!) photo session. Future FairMail card of simple happiness? We hope the first kite cards will become available on FairMail cards soon. Please stay tuned to our webshop for the newest cards.